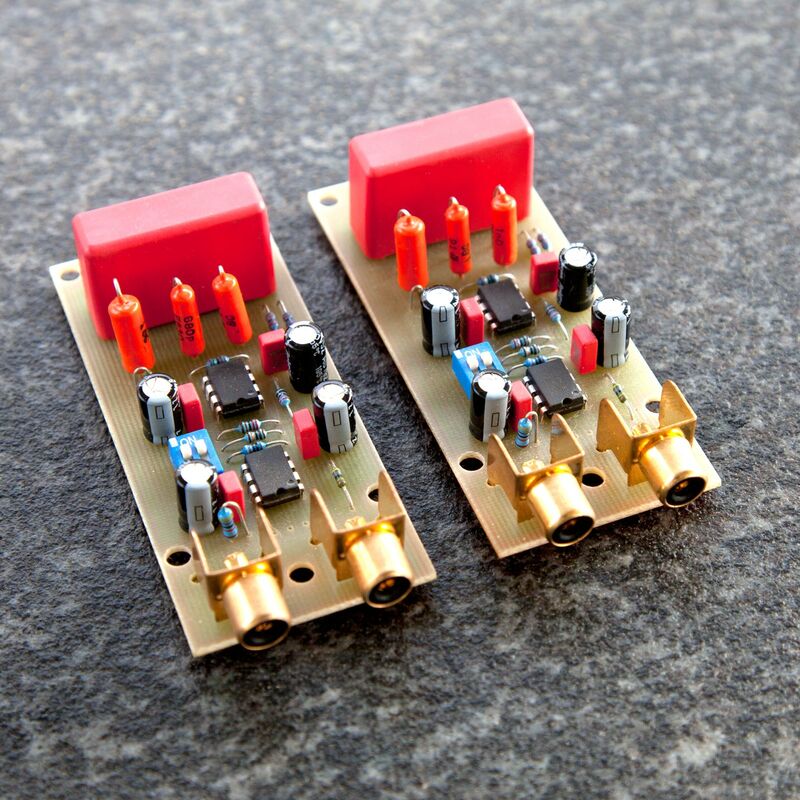 This is a clone of the circuit used in the 47 Labs phono stage. The circuit was published by RJM audio. It is simple and cheap and works well with many low-output MC systems. However the system itself (inductance and resistance) has a big impact on the sound. Therefore it might not work well with some MC systems. This entry was posted in Finished and tagged diy, electronics, preamp, riaa on June 4, 2013 by Daniel.